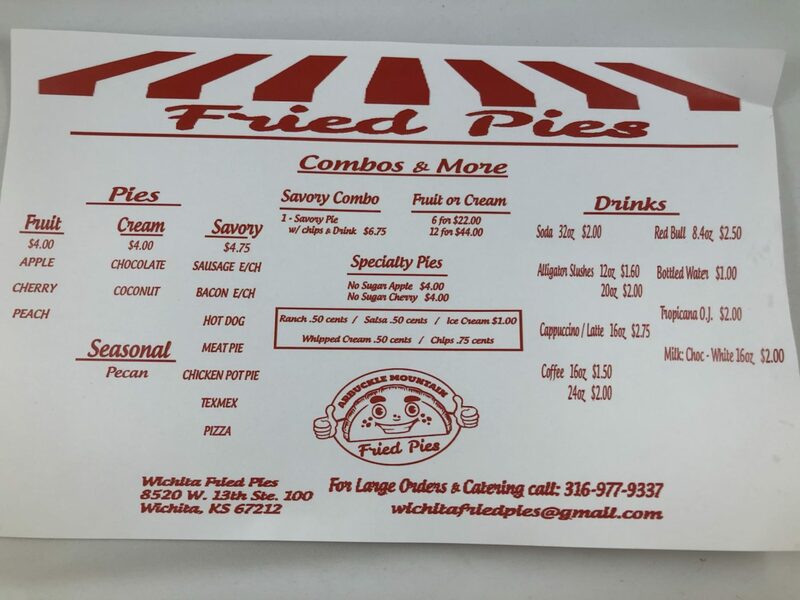 Fried Pies West Wichita Kiosk Review – Wichita By E.B. 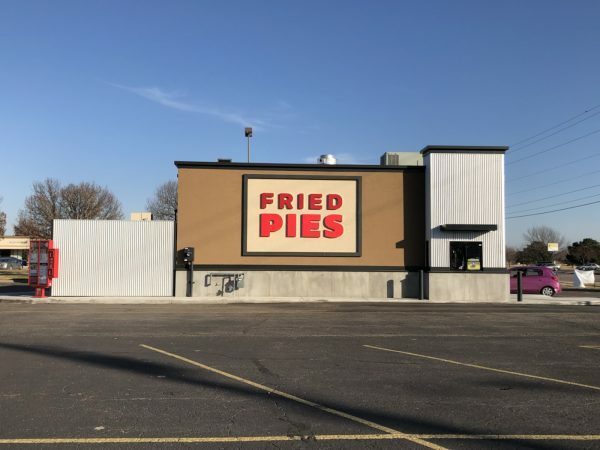 Earlier this year, Fried Pies opened a new kiosk at Northwest Centre. 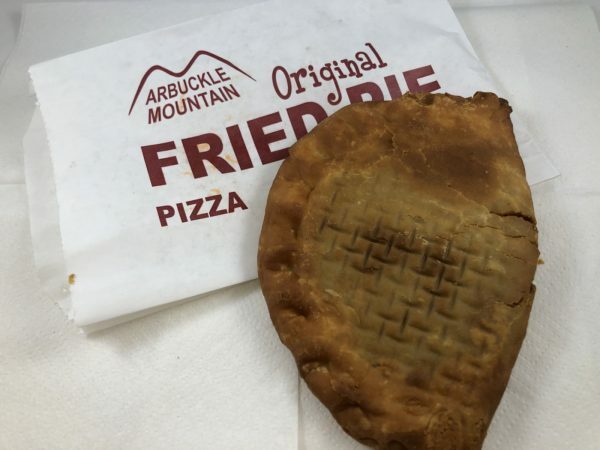 They also recently purchased Arbuckle Mountain Fried Pies in Park City. This kiosk is the first of what owners hope to be multiple locations in Wichita and the surrounding areas. 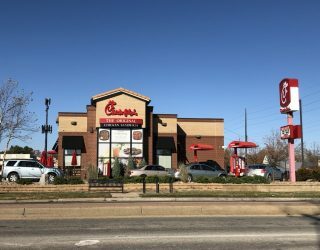 We fell in love with the original location in Oklahoma, loved what was brought to Park City, so we stopped by the west Wichita kiosk to give them a try. At first glance, the prices are much higher than the Park City location unless those went up as well. Back at the original Park City location when we went out (seen here), prices were $3.29 for sweet pies and $4.29 for savory pies. Prices at the kiosk location are $4 and $4.75. 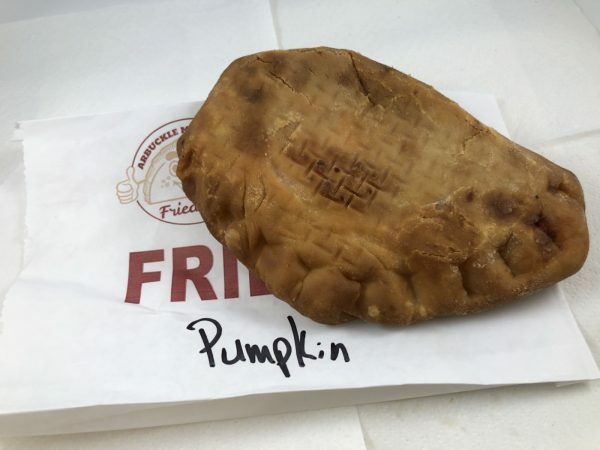 We tried their pizza fried pie and seasonal pumpkin pie. Once you order, you drive around the corner. It took maybe five minutes with a few cars ahead of us in the drive-thru. We made sure to find a spot to try them as we didn’t want them to get cold. The pumpkin pie was excellent and liked by all. It was light and flaky but sturdy enough to stay in tact. 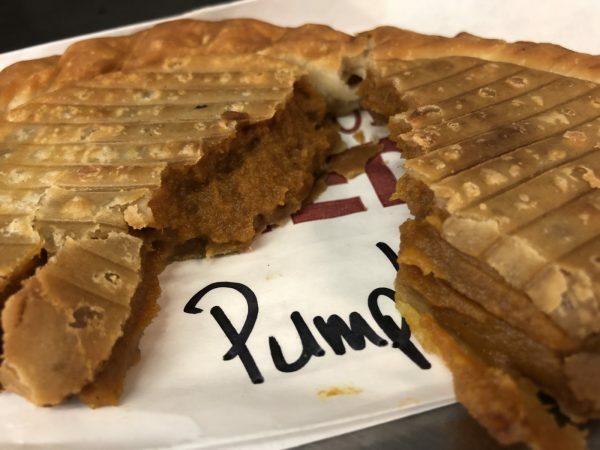 Personally I love pumpkin pie, so this was a no brainer for me. It tasted exactly as one would expect. The quality held up well and we were satisfied. Now for the bad. The pizza was a complete disaster. When we pulled it out of the wrapper, we noticed it was very flimsy in the middle as if it was about to rip apart. Come to find out there was bare any pepperoni or sauce in the center. It wasn’t like we ripped it in half of all the pepperoni went to one end. A majority of the pie’s center was nearly bare or just a couple pieces of pepperoni. 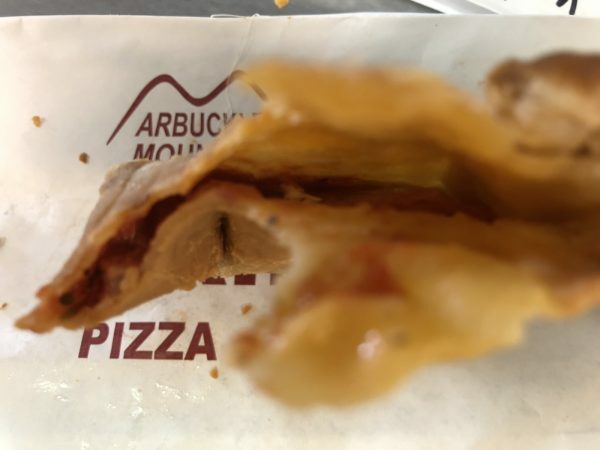 It was a huge disappointment and unlike our experience with the pizza pie at the Park City location. We love a good fried pie but at the $4.75 price for the savory pie and what we had, we cannot recommend it to anybody. It was unlike any of the pictures we saw online where the pies were plump and filling. While the sweet pie was great, the four dollar price tag will inhibit us from making many return visits.